This most recent artist's rendering shows NASA's Orbiting Carbon Observatory (OCO)-2, one of five new NASA Earth science missions set to launch in 2014, and one of three managed by the Jet Propulsion Laboratory (JPL). 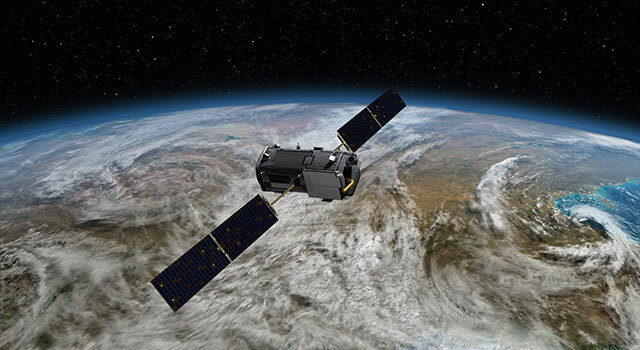 Artist's rendering of NASA's Orbiting Carbon Observatory (OCO)-2, one of five new NASA Earth science missions set to launch in 2014, and one of three managed by JPL. This image is an artist's concept of the Orbiting Carbon Observatory. This image is an artist's concept of the Orbiting Carbon Observatory (OCO). For the first time in more than a decade, five NASA Earth science missions will be launched into space in the same year. 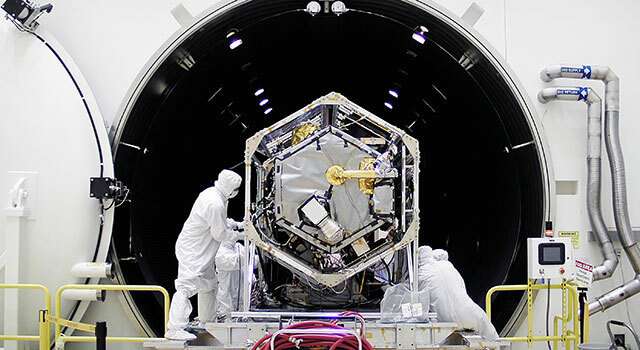 NASA's carbon-hunting observatory has emerged from its space simulation chamber following a series of environmental tests to prepare it for launch next summer.